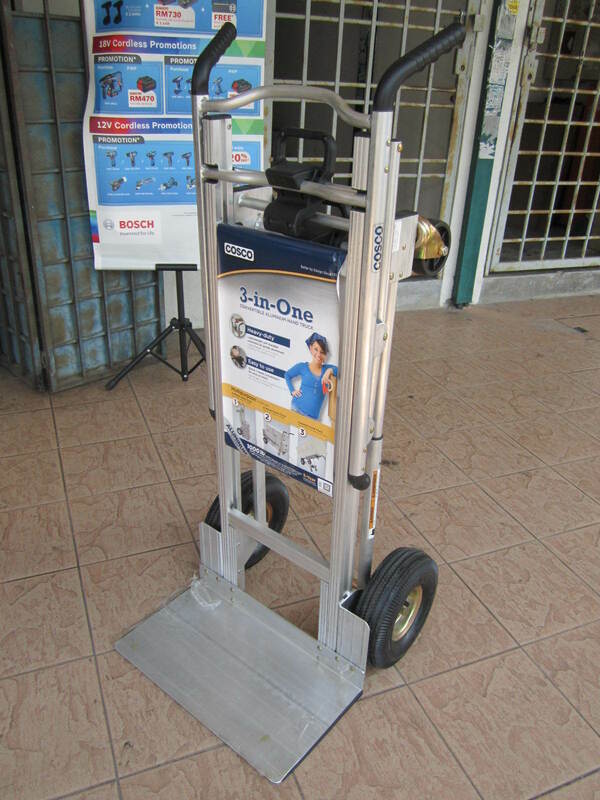 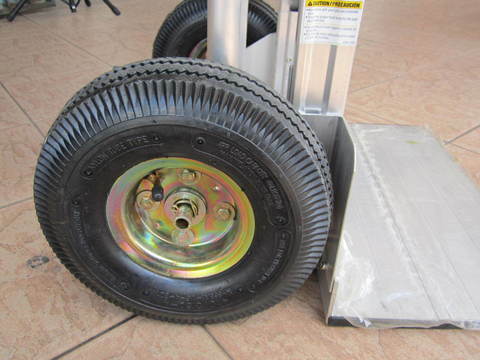 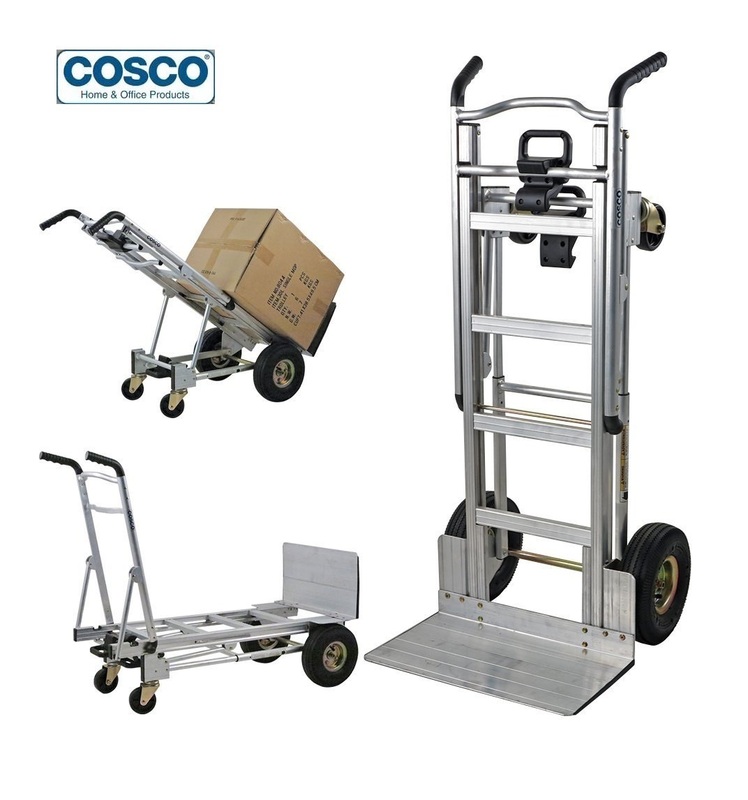 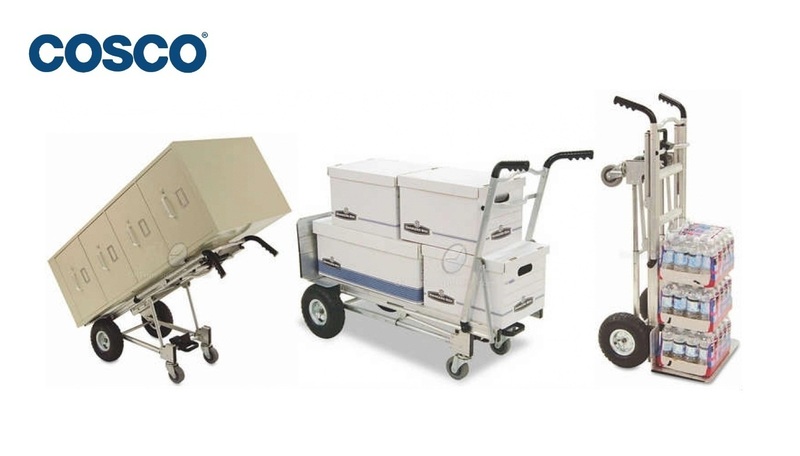 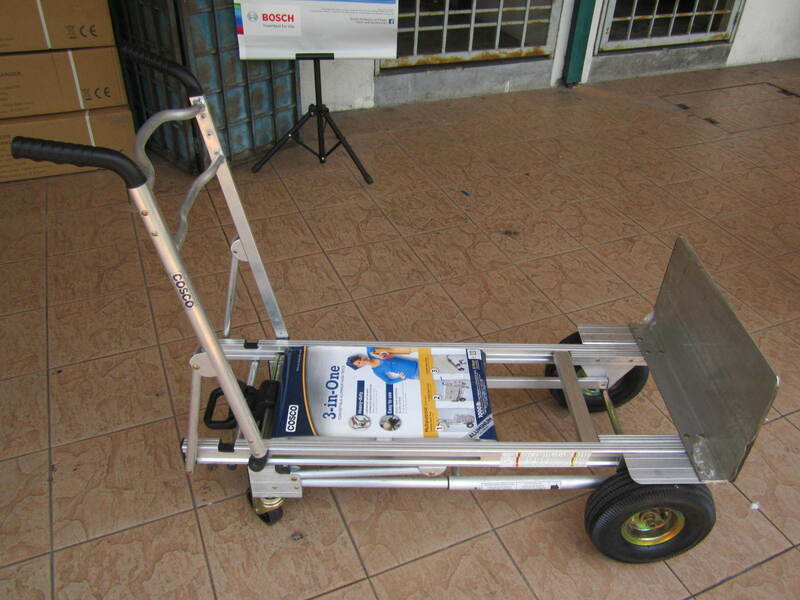 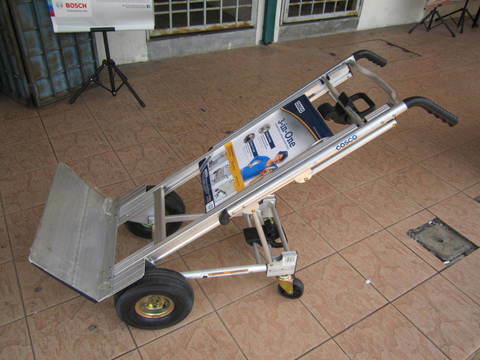 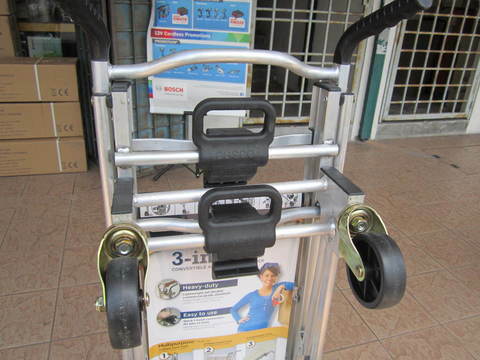 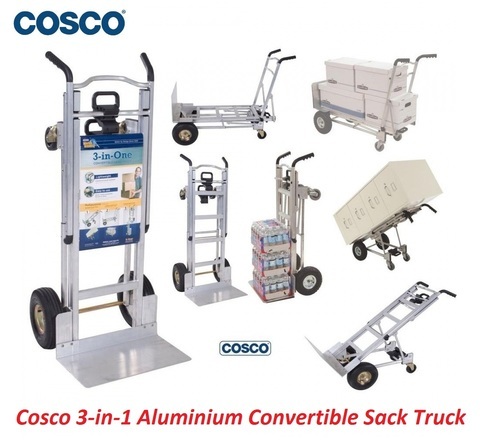 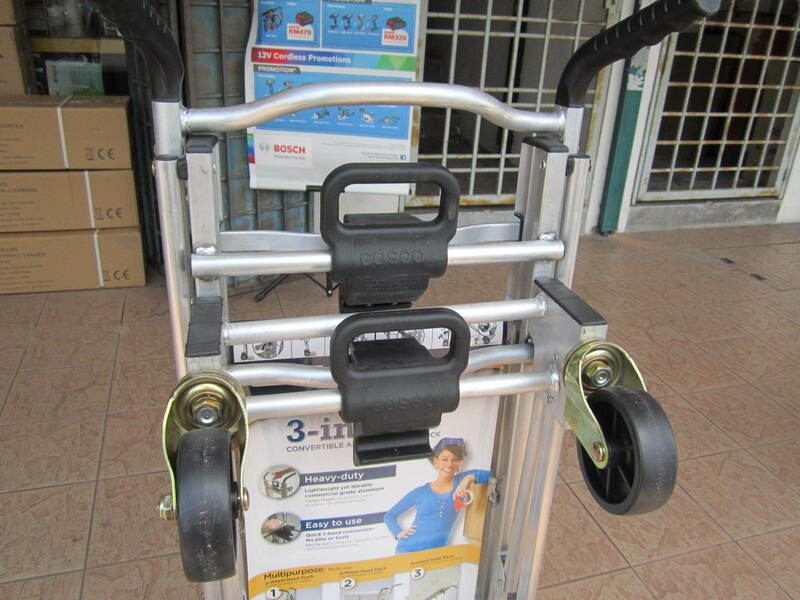 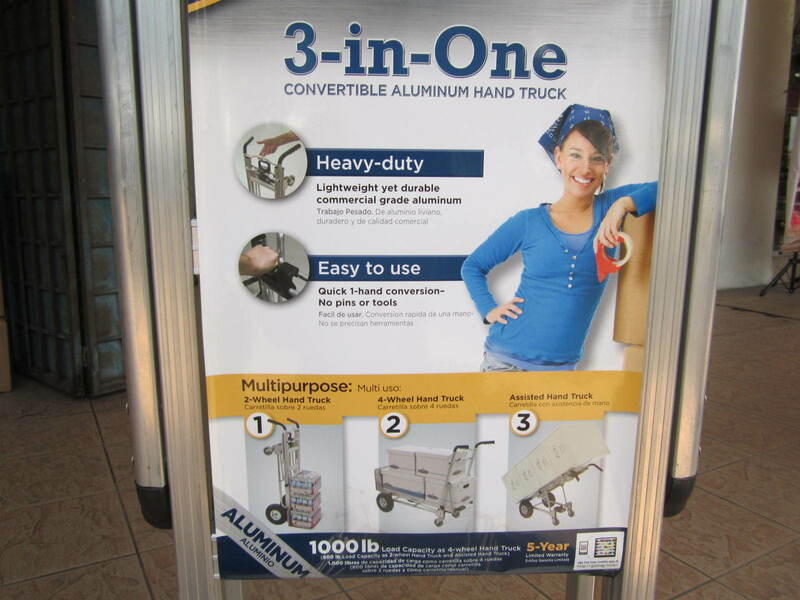 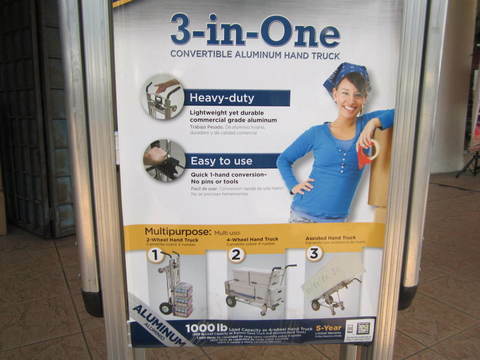 Cosco 3-in-1 Convertible Aluminium Truck (Load Cap 800-1000lbs)..
Let this hand truck do all your heavy lifting. 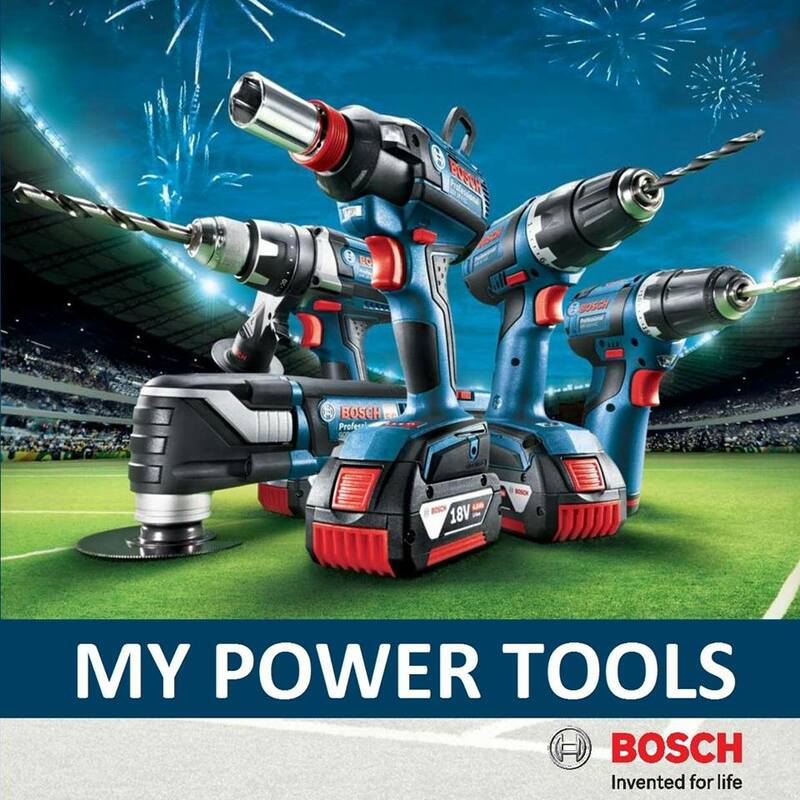 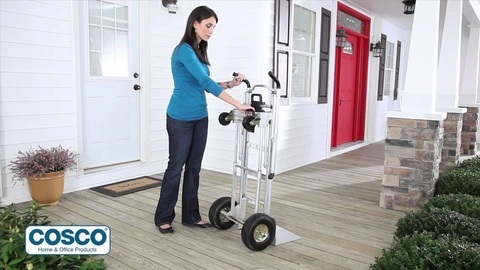 The ergonomic design makes it ideal for home or work. 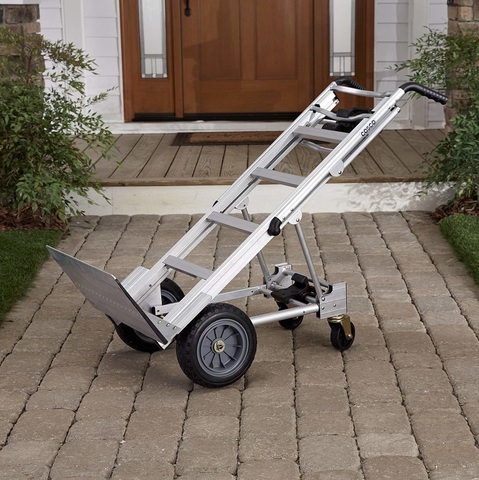 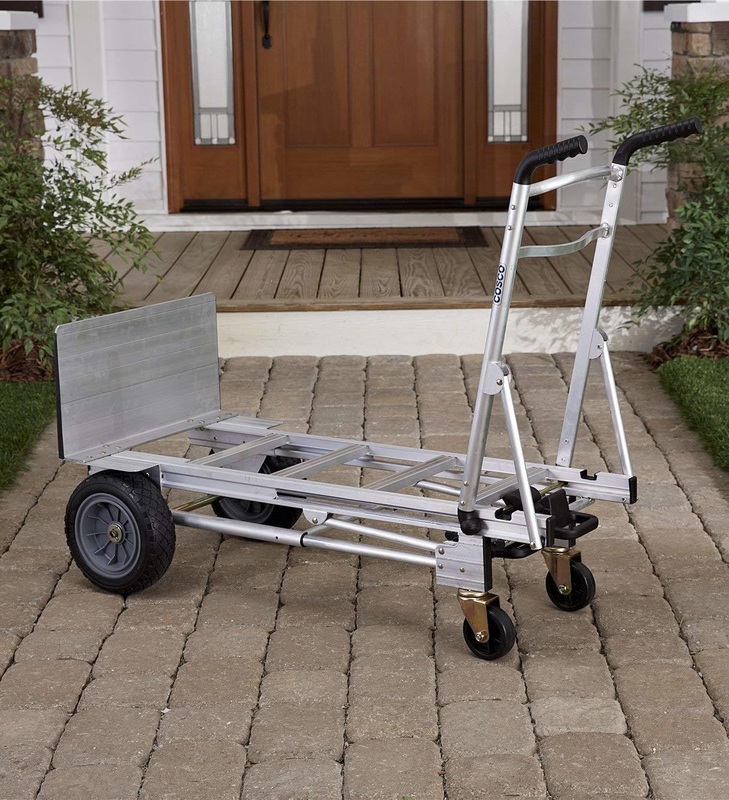 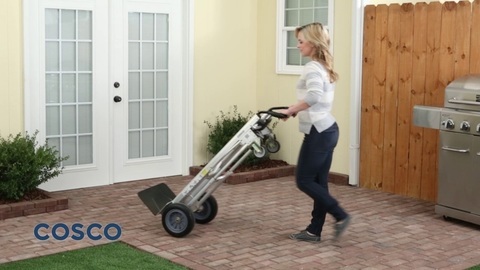 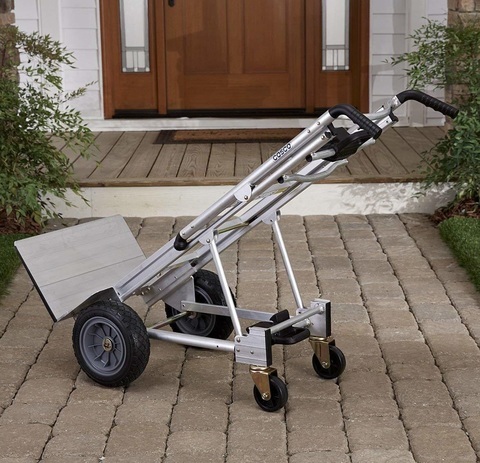 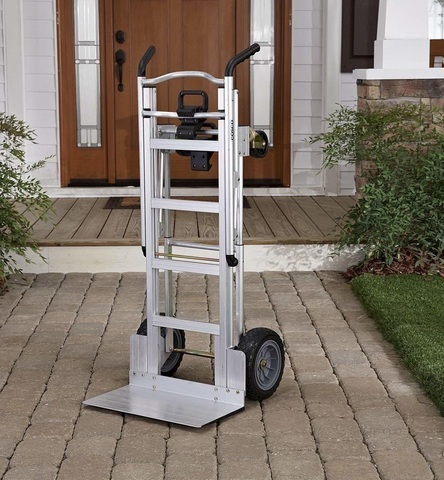 Easily converts to a 2-wheel upright, 4-wheel cart or assisted 4-wheel hand truck with just one hand—no tools, no pins, no kidding. 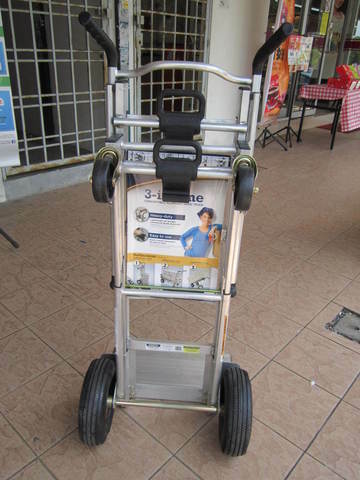 PRICE RM750.00..(Cosco smart by design)..